Napa, Australia and New Zealand. What do they have in common? 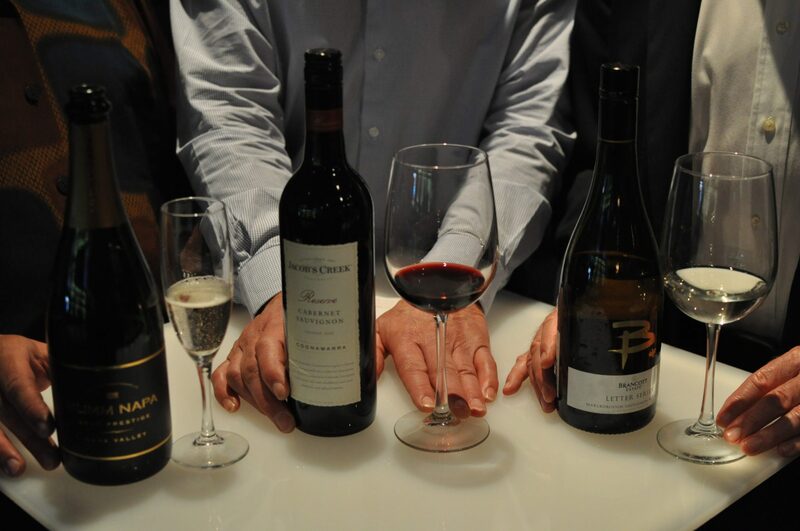 All three are beautiful destination spots; all three are in the “new world”; all three are wine producing regions; and recently three producers from the three regions came together for a wine lunch. 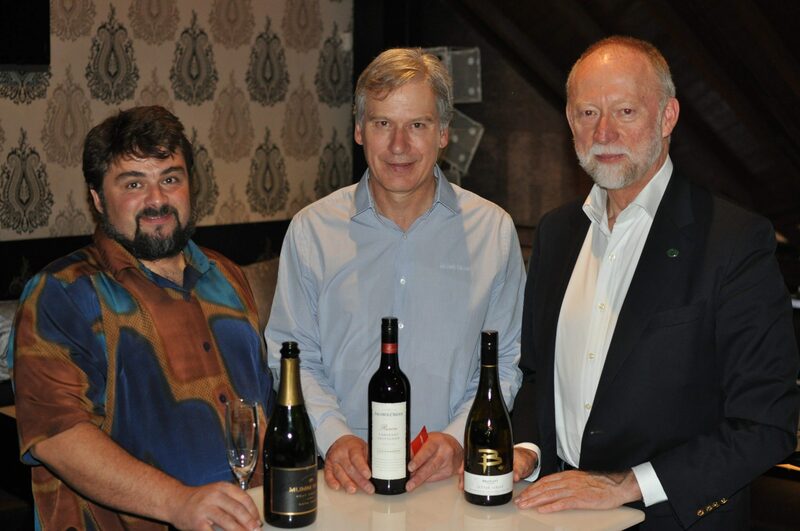 Ludovic Dervin, Chief Winemaker from Mumm Napa, Bernard Hickin, Chief Winemaker from Jacob’s Creek and Jim Robertson, Global Brand Ambassador from Brancott Estate shared their thoughts about making wine in their respective regions. 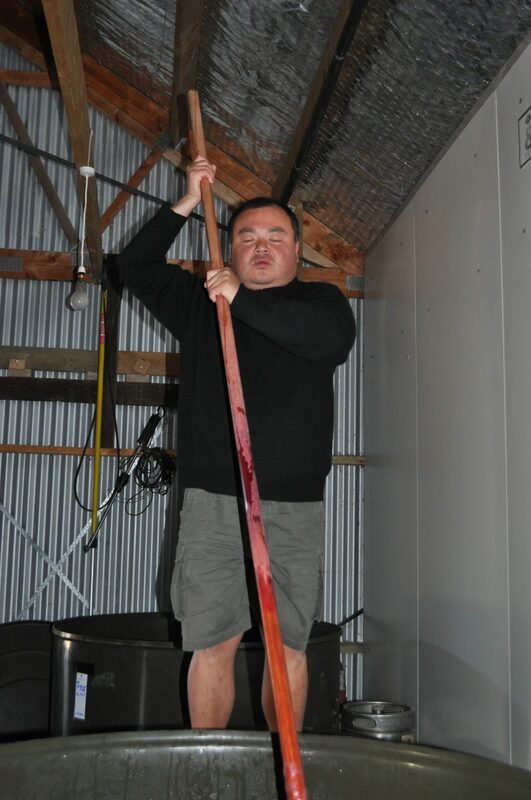 YES, A BLIND WINEMAKER. You might be thinking about the challenges he faces to make wine without seeing or maybe that he has a better palate than most because he is compensating for his lack of sight. But CP is a highly accomplished and talented individual, with or without the ability to see. CP was always a curious child, and this has continued into adulthood. “I taste all sorts of things. Other blind people don’t do the same as I do. If they can’t see it, they won’t try,” he says. While walking through the vineyard to taste if the grapes were ready for harvest this year, he grabs a bunch of grapes and puts the entire bunch in his mouth (grapes, seeds, and stems) and chews. TASTING THE STEMS, AS WELL AS TASTING THE SOIL, ENABLES CP TO UNDERSTAND WHERE THE GRAPES ARE IN THEIR DEVELOPMENT AND WHERE THEY ARE GOING. He is able to learn something about the grapes that one cannot see — and sighted winemakers also embrace this technique of tasting the soil and grape stems. We all know that bartenders like to have a good time. But our hard-working bartending community is also socially conscious and is giving back to the community, one party at a time! Three years ago when a group of bartenders went to New Orleans for Tales of the Cocktail, they decided to throw a casual bbq in the park with cocktail punches and pork. But in 2010 New Orleans was in the wake of the oil spill and they wanted to be able to help. How could a group of bartenders help? Pig & Punch! Created by the Bon Vivants, a San Francisco-based bartending team, the plan was to first put in the manual labor and then also give back by doing what they do best – throwing a party. In 2010, eleven volunteers spent time helping to build a house. “By being hands on, it links the people to the place that need help” explained one of Pig & Punch’s founders, Josh Harris of The Bon Vivants. At the free bbq, open to the bartending community as well as local inhabitants, tshirts were sold with the Pig & Punch logo, raising $1600. The money benefited the KIPPS Charter Schools arts and music programs. 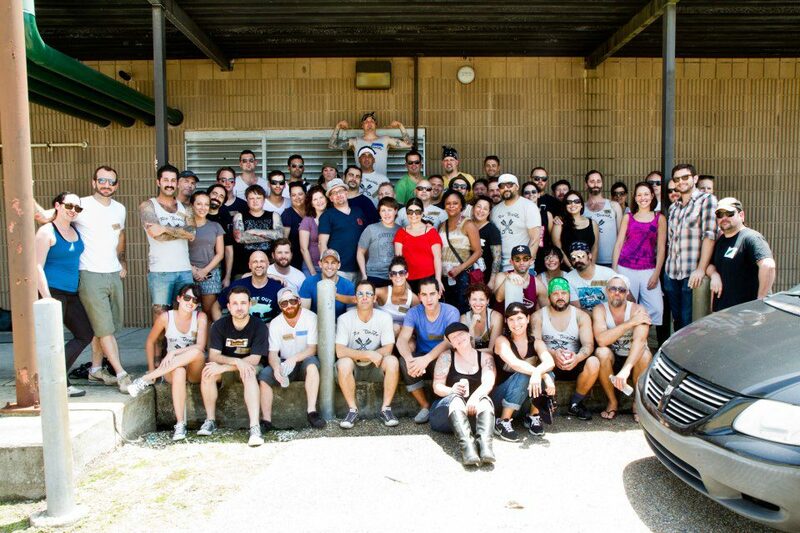 The following year, in 2011, 42 volunteers helped to build and paint houses in New Orleans. Then at the bbq, 550 tshirts were sold, raising $6600 for the Kingsley House.